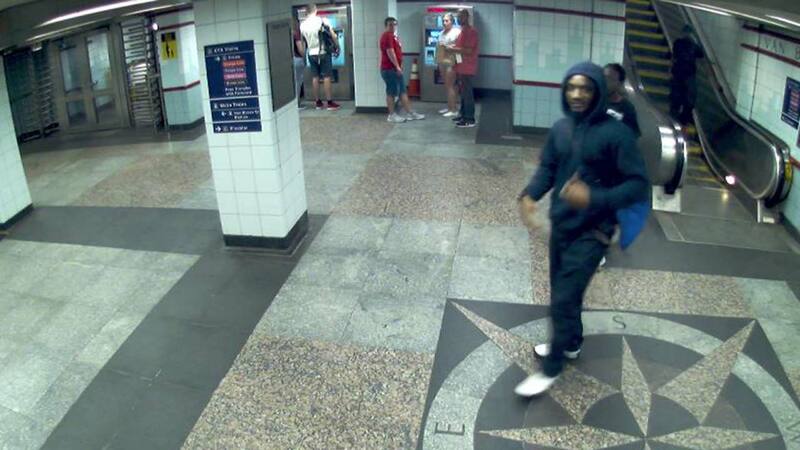 CHICAGO (WLS) -- Chicago police have released a surveillance image of a person of interest involved in a shooting at a CTA Red Line station. Investigators said Thursday night's shooting started with a fight several blocks away. Surveillance video then showed a gunman shooting the 24-year-old victim in the arm and the ankle at the Jackson stop at about 7:45 p.m., police said. The victim never boarded a train. Police said it was a targeted shooting. The suspect is described as black, 20-25 years old, 5'09" - 5'11" tall, 150-175 pounds. He was wearing a dark hoodie with the hood pulled over his head, dark pants, white shoes and a blue cinch bag. No one is in custody.